This medicinal roots recipe is simple to make and tastes great. It’s a nourishing vegetarian dish as well as a perfect side for fish, chicken or pork. The star of this medicinal roots recipe is burdock. Surprisingly, it’s not yet a common staple in our diets, although it is gaining popularity. You can find it more and more often at the grocery store. If you know how to identify the plant, you can easily harvest roots from the wild. It is a long taproot similar to a carrot. Burdock is a popular vegetable in Japan where it is called gobo. Burdock has a bit of a crunch to it. The flavor has been described as slightly similar to artichokes. This is not surprising as the two plants are closely related. Burdock root has valuable nutritional and medicinal benefits. Nutritionally, it is a good source of iron, manganese, magnesium, phosphorus, potassium and promotes absorption of calcium. Burdock nourishes and feeds the liver too. It is a well-known herb for cleansing the liver, blood and lymphatic system. This in turn makes it an effective remedy for skin issues. Burdock also benefits the digestive system. To learn more about burdock, check out this post on common healing roots. This recipe also incudes sweet potatoes. They have been called one of the world’s healthiest foods. They are rich in fiber and an important source of beta-carotene. They are a great way to get vitamin C and many B Vitamins. Sweet potatoes also offer iron, manganese, calcium, potassium, phosphorus, selenium and copper. Garlic not only adds flavoring to the dish, but is yet another beneficial addition. Technically it is a bulb rather than a root. Herbalists love garlic for it’s many healing qualities. Just to name a few of the benefits, garlic boosts the immune system, lowers cholesterol and lowers blood pressure. For additional medicinal benefits and flavor, add sprigs of rosemary. Rosemary is most notable for enhancing memory and concentration. It’s also anti-inflammatory and antioxidant. 1 bulb of garlic, cloves separated and peeled. You can peel the burdock before slicing for a less earthy flavor. Burdock quickly turns dark after peeling or slicing so be sure to cook it right away. Place all ingredients in a large bowl and toss to coat well with the olive oil. Spread evenly on a large baking sheet. Place in the oven on 400 degrees and bake for 15 minutes. Turn the ingredients over and cook another 15 minutes or until tender. Please leave any comments or questions below. 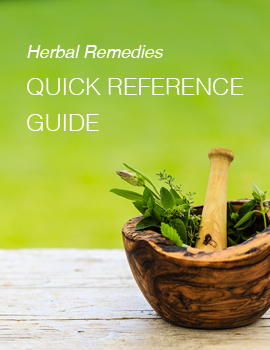 To learn more about using medicinal herbs as food, check out this blog post. You’re welcome Nancy! Ginger and nettles are two of the best! Also making my first tincture with motherwort.